Hello. CEO Olivia here. I sniffed out a most interesting video. 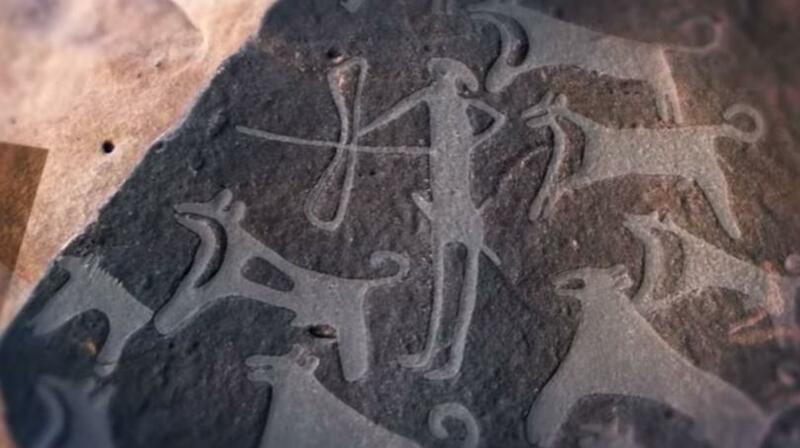 In Saudi Arabia rock carvings that might date back 8,000 years show a hunter with his hunting dogs. In the carvings two of the dogs are on leashes, suggesting that you humans mastered the art of training & controlling dogs thousands of years earlier than previously thought. Or maybe the leashes are symbolic of our bond. Have a sniff at this short history video…it’s most interesting. Hmmm, I wonder what sort of treats those dogs got. BOL! P.S. I did a similar post of those rock carvings this week. What a nice coincidence!